Agility recently announced Shipa Freight, the first fully integrated online freight service that allows users to get rate quotes and book, pay and track ocean and air shipments around the world. Shipa Freight provides instant, no-obligation rate quotes from the countries that account for 95 per cent of global trade and allows users to manage their international shipments with a simple, easy-to-use tool accessible by desktop, laptop, tablet and mobile app. “Shipa Freight is a simple, technology-driven answer for small and medium-size businesses trying to take the complexity out of their international shipping,” said Agility CEO Tarek Sultan. 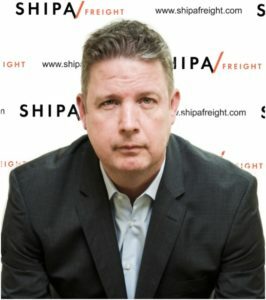 “It gives them the transparency, flexibility, competitive pricing and customer service that the industry offers only to multi-nationals and high-volume customers.” Shipa Freight is backed by Agility’s global network of more than 22,000 experienced employees in 500 branches and over 100 countries. It gives customers the support of a trusted global network and allows small and medium-size companies to access the world’s growing markets. Agility customer support is available 24/7 to help them book and manage their shipments, or to get rates for routes not quoted online. “Shipa Freight’s digital platform allows users to complete a shipment completely online,” said Toby Edwards, CEO of Shipa Freight. “This includes shipment booking, a range of payment options, and online tracking, which have not been widely available for small and medium-size businesses until now.” In a recent Agility survey of 800 SMEs, small and medium-size companies said they needed the complexity taken out of compliance, customs requirements and cross-border bureaucracy if they were to do more international trade. Shipa Freight helps customers overcome these issues by providing a compliance database with information on documents required on all trade lanes, helping them navigate the legal and regulatory requirements that are obstacles for many small businesses. “Shipa Freight is unique among online freight services,” Sultan said. “It offers both air and ocean, including Full Container Load (FCL) and Less than Container Load (LCL) options. It provides users with the ability to manage their freight from start to finish via quote-book-pay-track features and 24/7 customer service. And it makes use of Agility’s existing global network and scale, which means it’s got built-in flexibility, expertise, and deep understanding of how to move freight around the world.” Shipa Freight is one of several technology-led innovations that Agility is using to make logistics more efficient and drive down costs for customers.